About the Cyclones: Iowa State started the season 4-1, but lost five of its final seven to stumble into bowl eligibility. The Cyclones are led by freshman quarterback Sam Richardson, who became the starter after leading Iowa State to a 53-21 victory against Kansas. 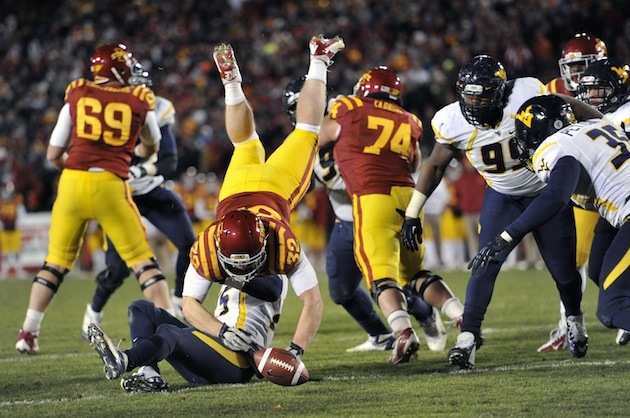 That win got the Cyclones bowl eligible, but then they lost their season finale to West Virginia. Iowa State doesn’t really do anything exceptionally well on offense and it will probably struggle on defense without All-Big 12 linebacker Jake Knott, who is recovering from shoulder surgery. About the Golden Hurricane: Tulsa has come a long way since these teams met in the season opener and have been especially good down the stretch. The Golden Hurricane are coming off a Conference USA title game win over Central Florida and have to be looking for revenge after blowing a lead the first time these two teams met. Quarterback Cody Green has thrown nine touchdowns in his last four games, but the workhorses for the Golden Hurricane have been the running backs. Alex Singleton, who has a school-record 41 career touchdowns, Trey Watts and Ja'Terian Douglas each have at least 700 yards this season, which makes them one of the most versatile running games in the country. 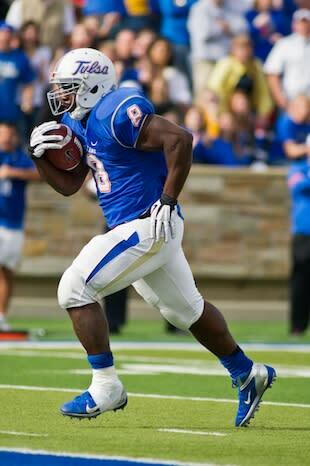 The Golden Hurricane has the 11th-best rushing game in the country averaging 240.2 yards per game. The breakdown: This game is a rematch of both team’s season opener. In that game, Iowa State handled Tulsa 38-23, but the two teams have gone in very different directions since. Tulsa has thrived while Iowa State has stumbled and the Golden Hurricane will be out to exact what ended up being the worst loss of the season. This game will be all about Tulsa’s running game, which hasn’t been stopped by many teams so far this season. In the first meeting, Green had 49 attempts, just 198 yards and two interceptions, so look for them to emphasize the ground game Monday. Iowa State beat Tulsa on Sept. 1, but Tulsa is a better team now. Meanwhile, Iowa State is 6-6 and its only win since October came against Kansas. Tulsa will pull out a late win. Tulsa’s offense is a lot better since the first time these two teams met and it will be eager to show it. The running game should find a lot of success against a beat up defense and this game will probably get out of hand early.